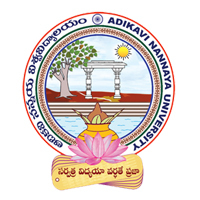 Adikavi Nannaya University is a state university located in Rajahmundry, Andhra Pradesh, India. Adikavi Nannaya University was established in March 2006 through the Government of Andhra Pradesh Act No. 28 of 2006. 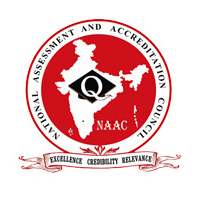 ANUR is recognized and certified by University Grants Commission, India (UGC), National Council for Teacher Education (NCTE) , The All India Council for Technical Education (AICTE), The National Assessment and Accreditation Council (NAAC), National Board of Accreditation (NBA). It is named after Nannayya, the first attested author of a text composed in the Telugu language. The university attends to the educational needs of both Godavari districts. Currently, all seventy-four post-graduate institutes as well as the 350 degree colleges located within the aforementioned districts maintain their government-mandated university affiliation with Adikavi Nannaya University. 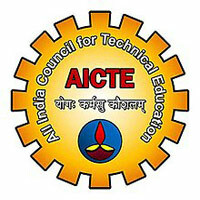 These colleges were previously affiliated with Andhra University. The university initiated a program in Geo-Informatics, Forensic Science and Petroleum Exploration, the first of its kind in Andhra Pradesh and one of the few in the country. University has affiliated Forensic Science with a special focus including most potential combination with Chemistry and Cyber forensics which are very essential to build up a strong base in student's career background. The office of the College Development Council (CDC), Adikavi Nannaya University has been established in the year 2012 for providing coordination between University and the University colleges and the affiliated colleges under the jurisdiction of Adikavi Nannaya University (i.e., East and west Godavari Districts of A.P.) and UGC-New Delhi and APSCHE/NCTE, as the case, may be. The affiliated colleges existing outside the campus of Adikavi Nannaya University are providing courses in accordance with regulations prescribed by statues, ordinance or regulations of Adikavi Nannaya University/ Government of Andhra Pradesh. A substantial number of the student population receives education through these colleges. A gamut of 50 educational institutions in different streams, with a faculty strength of 5,000 members and surging student strength of 50,000 stands testimony to the pillaring effect Aditya Academy has had on the society in the past three decades. Aditya Nagar, ADB road, Surampalem.